Bring the Books: Calvinists Have Their Cake and Eat it Too! 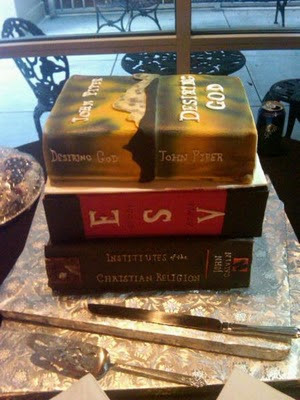 Jon Bloom shared this awesome picture over at the Desiring God blog. Apparently this was the cake that the groom wanted at the wedding. I only wish I had shown this sort of foresight at my own wedding.